It’s the halfway point in the Great College Move-In Road Trip for At Home stores to mark National College Move-In Week! From Chicago on Sunday through Charlotte and on through Orange Park and Orlando this weekend, we’re celebrating National College Move-In Week as over 130 colleges and universities welcome students back to campus this week. Follow my road trip journey (on Facebook and Twitter) as I meet moms in different cities who will showcase the 50,000 items in At Home stores that make college shopping so easy on your time and budget! Between this week and Labor Day, an estimated 20 million students will be moving in to college dorms and apartments across the U.S. College Move-In season is a unique, exciting and often-bittersweet milestone for families as students venture out of the nest to live on their own for the first time. Mixed with the excitement of moving to college are the costs and time to furnish a new living space. In a recent survey of moms by BSM Media for At Home, we discovered shopping priorities of moms and students, dorm room must-haves and the high costs of the college move-in season. Tablets, TVs, string lights and wall hangings top the packing lists for college-bound students. When students are packing their tech items and new décor, they don’t forget a childhood memento or two like a stuffed bear or blanket. Moms are purchasing mattress covers, under bed storage bins and other essentials, making sure their sons and daughters have everything they need for college living. 46% of moms say the college checklist will cost between $400 and $600. Another 37% of moms estimate moving costs (fuel, time off of work, packing supplies) at more than $500. For décor ideas and inspiration, 66% of moms are checking online retail sites, followed closely by Pinterest as a preferred source of inspiration for 62% of moms. Over 45% of moms say they will furnish and decorate the dorm room with fresh, new items, 43% will combine a mix a fairly even mix of new purchases and items from home, and only 9% are furnishing the spaces only with items brought from home. Moms in the survey feel the most stress making sure their sons and daughters have everything they will need (61%), followed by their college student leaving home for the first time (43%) and getting them moved in (37%). From firsthand experience after moving two of my children to collegiate housing over the last few weeks, I know how exciting and exhausting the college move-in process can be for parents. At Home makes it easy to make a one-stop trip to get the décor items the students want, the basics that moms know are necessary for a new living space, and all at very reasonable pricing. 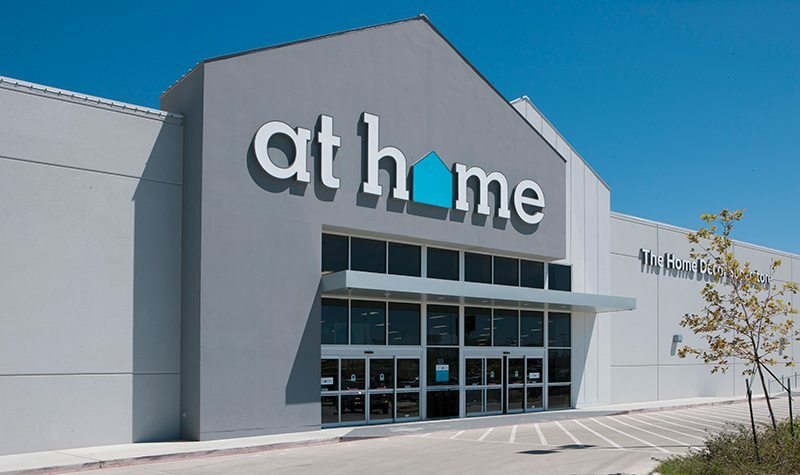 Find an At Home store near you at http://athome.com.